Precious red reindeer little girls Christmas legging set from Rare Editions is perfect for Christmas photos with Santa! 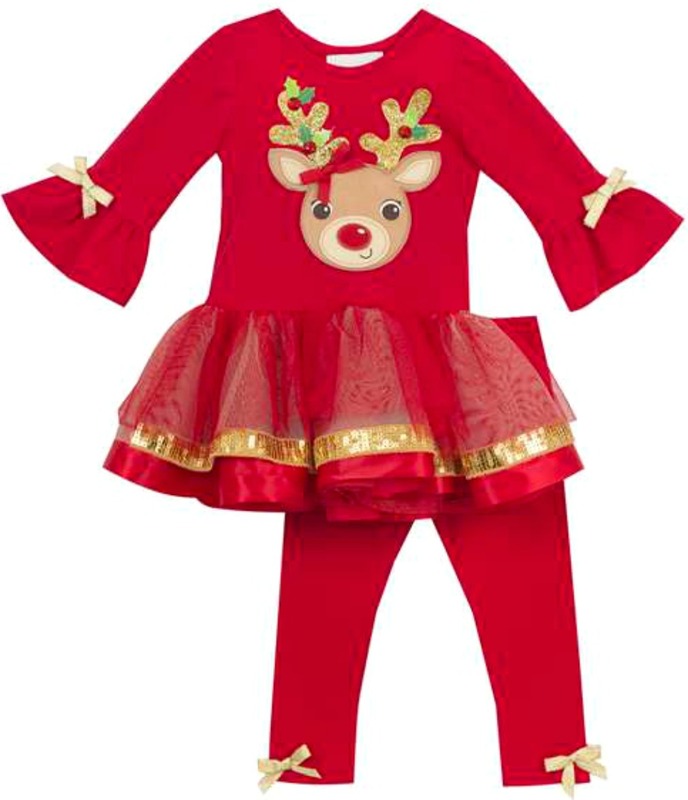 Red cotton spandex tunic and legging set features red ruffled tunic top with flounce hem, gold trims and reindeer face applique. Pull red stretch knit leggings with gold accents to match. Machine wash. Imported.